On the 12th of April ground tests take place for Descent Module Control Unit / High Current Control Unit (CU/HCCU) engineering model developed by Izhevsky Radiozavod for “ExoMars 2020” mission. The international team of engineers will start the integration tests of equipment with the descent module to check the interaction of scientific and flight systems. 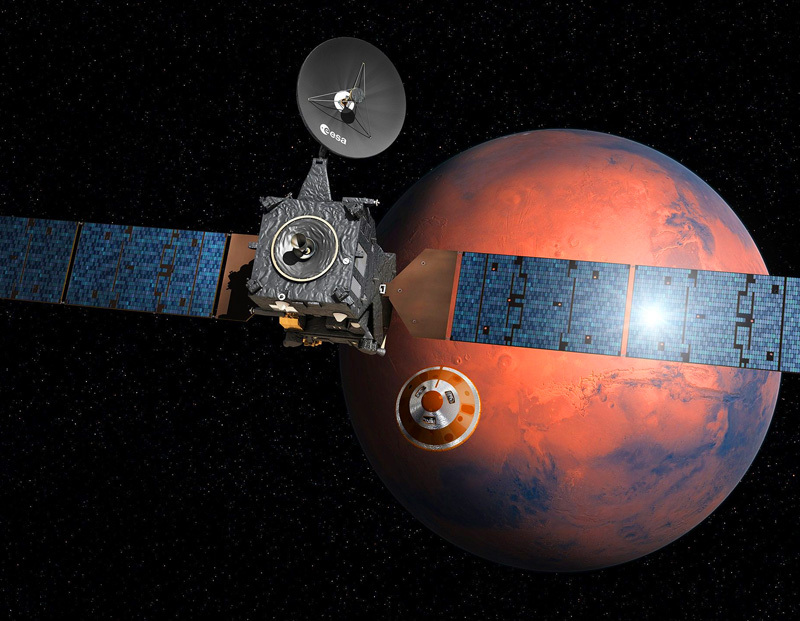 The aim of ExoMars 2020 mission is the exploration of Mars surface. The scientific equipment and rover will be delivered to Mars by descent module developed by Lavochkin Association. The module will be controlled by CU/HCCU system of “IRZ”. It contains load switches of all descent module subsystems, provides power supply, realizes the logic of equipment operation, performs telemetry data gathering and processing for the onboard computer controlling the module. In parallel, IRZ is starting the development of qualification and flight models of CU/HHCU, the production of which is to be finished by the end of the year. — Participation in ExoMars joint mission of Roscosmos and European space agency provides an opportunity for IRZ to gain valuable experience of cooperation with European engineers, check IRZ’s technologies in conditions of far space and consolidate our positions for taking part in new Russian and international space programs, says Vladimir Kolotov, Chief Designer of IRZ. Izhevskiy Radiozavod is the group of companies developing and producing equipment for rocket and space industry since 1961. IRZ produces onboard computers, telemetry systems, radio facilities, video monitoring systems, and other systems involved in almost all national space programs including “GLONASS”, “Soyuz”, “Angara”, “Fregat”, “Bion”, “Spectr”, lunar program. In 2016 IRZ was awarded the contract and joined the international mission to explore Mars.